Can Governor Schwarzenegger Slash the Payroll to Keep a Promise? In the recall election against Gray Davis, Arnold Schwarzenegger promised to end the annual budget crisis once and for all. But once again this year there's no state budget, and the revenue shortfall is $15 billion. 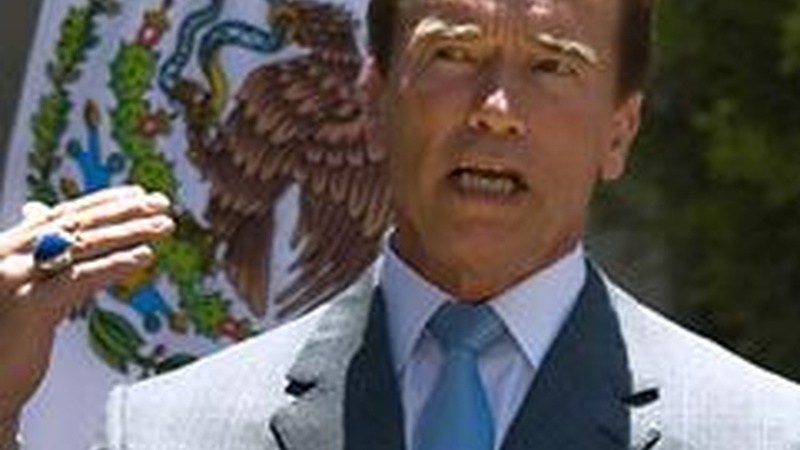 Schwarzenegger's public opinion rating has dropped to 40% and the legislature's is much lower than that. Now Schwarzenegger says he's cutting the salaries of state workers—down to the federal minimum wage.